This is a classical tour with rafting on the Great Bend of the Yangtze River. It covers Kunming, Dali, Lijiang and Shangri La. The Great Bend of the Yangtze River makes a hairpin turn through a remarkable 10,000-foot-deep gorge (almost twice as deep as the Grand Canyon!) before continuing its march to the sea. On this trip, we run some 120 miles of the Great Bend spectacular whitewater experience, with about a dozen Class IV rapids, including some fun Grand Canyon Cstyle wave trains! Fascinating cultural encounters with the Naxi people, descendents of Tibetan traders, are a terrific bonus. Above all, you’ll be in the secure hands of some of our top river guides! Have a rafting experience on the Great Bend of the Yangtze River. Visit the top cities of Kunming, Dali, Lijiang and Shangrila. You will take a leisurely stroll along the Green Lake Park, a charming area of teahouses and small boutiques selling handicrafts and beautiful local paintings. 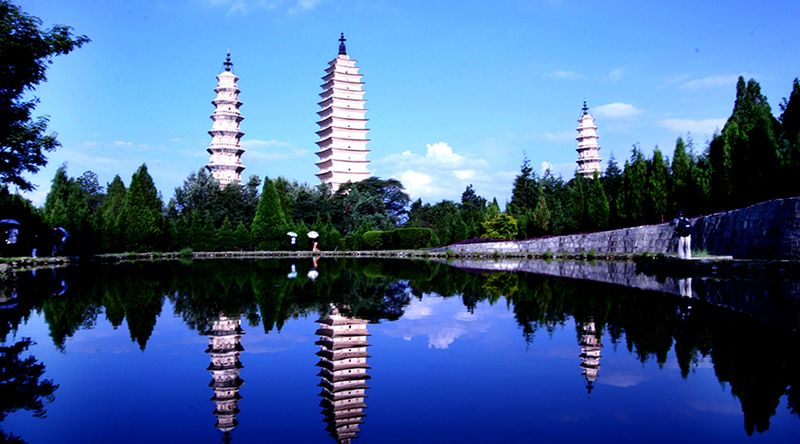 If time permits, you will have a Kunming city tour. You will drive 86 km to the Stone Forest. An old local saying says that ‘If you have visited Kunming without seeing the Stone Forest, you have wasted your time.’ Truly, the Stone Forest is one of the most important attractions of Yunnan. After lunch drive back Kunming to visit the Guandu Ancient Town which is a famous historical & cultural town in Kunming; it keeps the main architectural style of Tang, Song, Yuan, Ming, and Qing Dynasties. After dinner, you will have an option to enjoy the large-scale dance drama “Dynamic Yunnan” which has been an outstanding innovation on the Chinese stage in recent years directed by Yang Liping. Primitive, unsophisticated folk dances and a fresh artistic concept converge in the program, giving audiences a unique “Yunnan Impression.” Sixty-two drums and 120 masks of strong ethnic characteristics are incorporated in the performance. Take the morning flight to Dali, a historically and culturally famous city of China, which is renowned for her historical interest and Bai ethnic culture. 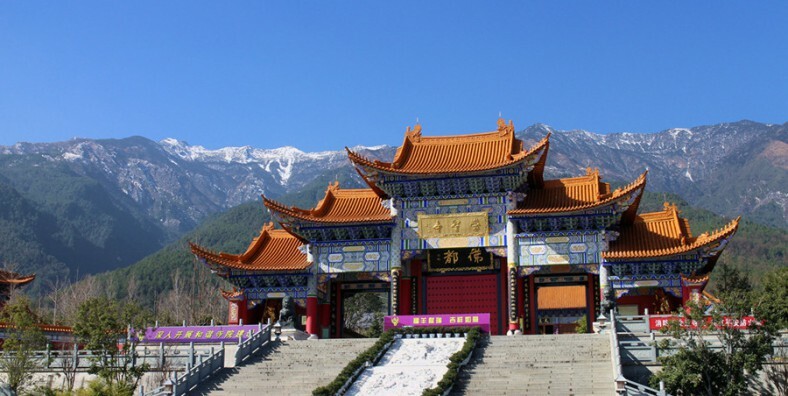 After landing, you will visit the Three Pagodas in Chongshen Monastery which has a history of over 1,800 years located at the foot of Cangshan Mountain facing to the Erhai Lake. Three Pagodas are made of three ancient independent pagodas forming a symmetrical triangle. At last, you will visit the Ancient Dali Town, walk around the Foreigner Street and enjoy the relax time with local people. After climbing up to the City Wall of Dali, you will have panoramic view of the Erhai Lake. Drive about 180KM to Lijiang with the beautiful farmlands and ethnic villages on the way. Lunch at NO.8 Restaurant at the bank of Black Dragon Pool, after lunch you’ll head for the scenic Black Dragon Pool and the Dongba Museum to explore the rich Naxi minority culture. 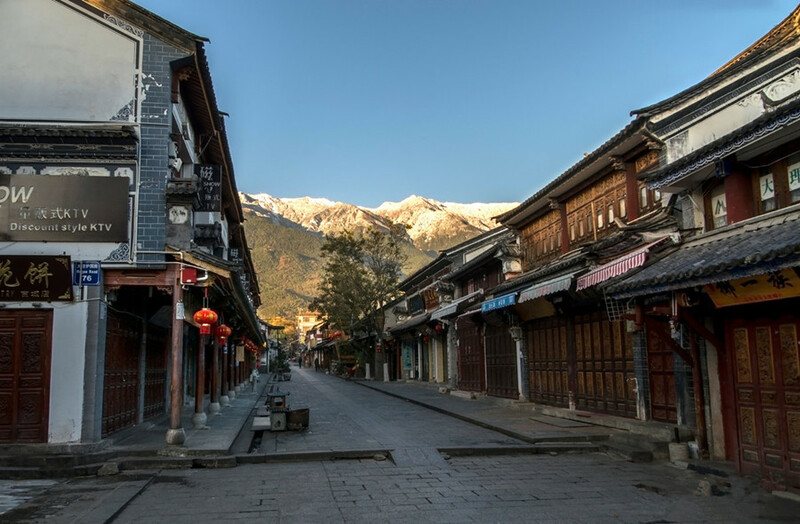 In the late afternoon, explore Lijiang Old Town. Lijiang Old Town has a history more than 800 years; it was listed as the World Cultural Heritage by the UNESCO 1997. Here you will see the wonderful wooden architecture of Naxi ethnic people. Enjoy the sunrise of the Jade Dragon Snow Mountain and Lijiang Ancient Town in the morning. Drive about 30KM to Ganhaizi Meadow(3100M), you will take the sightseeing bus for a short visiting through the Baishuihe River, take the chairlift up to visit Jade Dragon Snow Mountain. The cable way will be arranged according to the condition of the mountain. You will hike around 1 hour in the original forest in Spruce Meadow(3200M). In the afternoon, you’ll stroll through Baisha Old Town, which is an enchanting traditional Yunnan town. Visit the Baisha Mural about 600 years old, which is one part of the World Cultural Heritage by the UNESCO 1997. From Lijiang to Tacheng, it is 140KM, you will have 4 hours driving along the beautiful Jinsha (Gold Sand) River, which is the upper reach of Yangtze River in Lijiang. Drive through Shigu Town, Zhongxing Town, Judian Town, Shangjiang Town with some Naxi ethnic villages on the way. You will have lunch in Juxian Restaurant(a clean restaurant and best food) with local flavor in Judian Town; If you are lucky, you will find the local bazaar happened every 5th and 10th of the traditional Chinese calendar. After lunch, continue the driving to Tacheng Town. Unload the floating equipment including tent, sleeping bag, water-proof bag, fridge, paddles, LPG container,gas cooker,life jacket and so on. You will start the rafting after inflating the drifting boat. The most beautiful part of the rafting today is the Jigong(Rooster) Stone Islet located in the middle of Jinsha River in Shangjiang Town. From a far, you will find there is a sharp peak which looks like a flying rooster, hence the name of Rooster Stone Islet. The Jinsha River is divided two parts by the Rooster Stone Islet in the middle. Here is the most exciting rafting part of your trip because of the rapids, whirlpools and waves at the foot of the Rooster Stone Islet. After 4 hours rafting, you will build the camp for overnight in the beach island near the Judian Town. Get up in the early morning, enjoy the sunrise of the Jinsha River with green mountain ranges. After breakfast, continue the rafting trip to Zhongxing Town. Today is a special rafting, you will raft through some islands in the middle of Jinsha River with some green willows and cows in the islands as well as you will find some farmers are fishing in the river with small canoes in the river. Especially, you will find some children swimming in the river without underwear. If they find you are coming from a far, they will be very shy and hide in the willows or they will swim very fast as a fish into the grass. This will be very special experience for your trip. You will have a simple lunch when you land in Judian Town. Lunch includes some watermelon, chocolate, bread, some fruit, and local pancakes as well as some drink. Build the camp in the willows forest island in the late afternoon. Have a bonfire party in the evening. Enjoy the sunrise of the Jinsha River in the morning. After breakfast with a nice coffee and milk, continue the rafting to Shigu Old Town. You will raft through a big “S” turn in Stone Gate Pass, an millitary importance historically. Raft to the First Bend of the Yangtze River and Shigu Town. You will witness the wonder of the First Bend of the Yangtze River with a big turn from the southward to the east. You will finish the rafting in Shigu Port. Have a nice lunch in Jiangnan Restaurant in Shigu Town. Lunch with the natural river fish, wild vegetables, and local flavour. After the rafting, meet your driver and drive to visit Tiger Leaping Gorge, the deepest gorge in the world. With 34 rapids of the Yangtze River, it is called the Jinsha in this area because you can find gold in the river. Afternoon, you’ll head for Shangri La, the former Zhongdian which is well-known as the paradise destination for every tourist. Upon arrival in Shangri La, you will have entered the Tibetan cultural area and a landscape of barley fields and yaks scattered in the valleys. In the morning, visit the Songzanlin Monastery, the largest Tibetan monastery in Yunnan. Songzanlin Monastery has another alias – ‘the little Potala Palace ‘, so named because the whole monastery is in the traditional style with mysterious atmosphere.And afterwards you’ll visit the tranquil Bita Lake & Shudu Lake in Pudacuo National Park. Pudacuo National Park is located in one of the most biologically-diverse regions of the world. While the region comprises only 0.7 percent of China’s land area, it contains more than 20 percent of the country’s plant species, about one-third of its mammal and bird species and almost 100 endangered species. Visit Dukezong Tibetan Ancient Town in the late afternoon, climb up to the top of Guishan Hill or tortoise Hill, you will see the largest Prayer Wheel of the world and have a panoramic view of Shangrila county and Dukezong Ancient Town. Finally, you will have an option to visit a Tibetan’s family to experience the local life in the bonfire party with Tibetan dance and music and you will try Tibetan home-made yak and cheese. Take the flight to your next destination. Service ends.